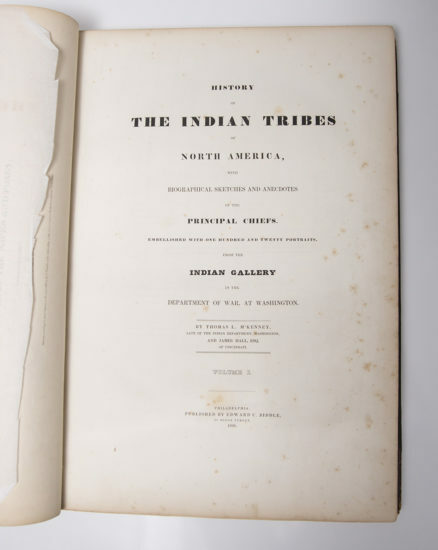 Home / U.S. History / History of the Indian Tribes of North America, with Biographical Sketches and Anecdotes Of the Principle Chiefs. 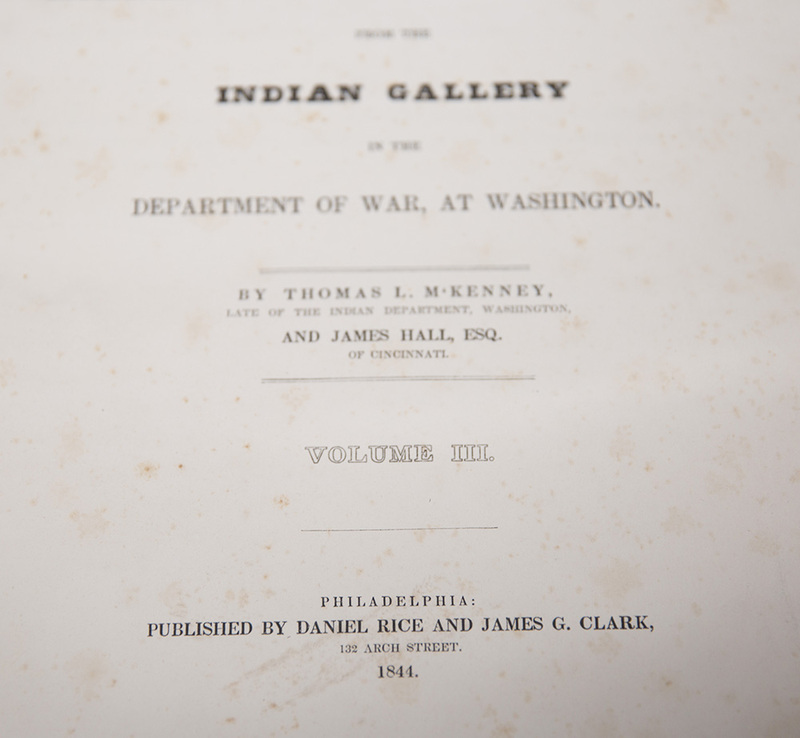 – Embellished with One Hundred and Twenty Portraits from the Indian Gallery in the Department of War, at Washington. 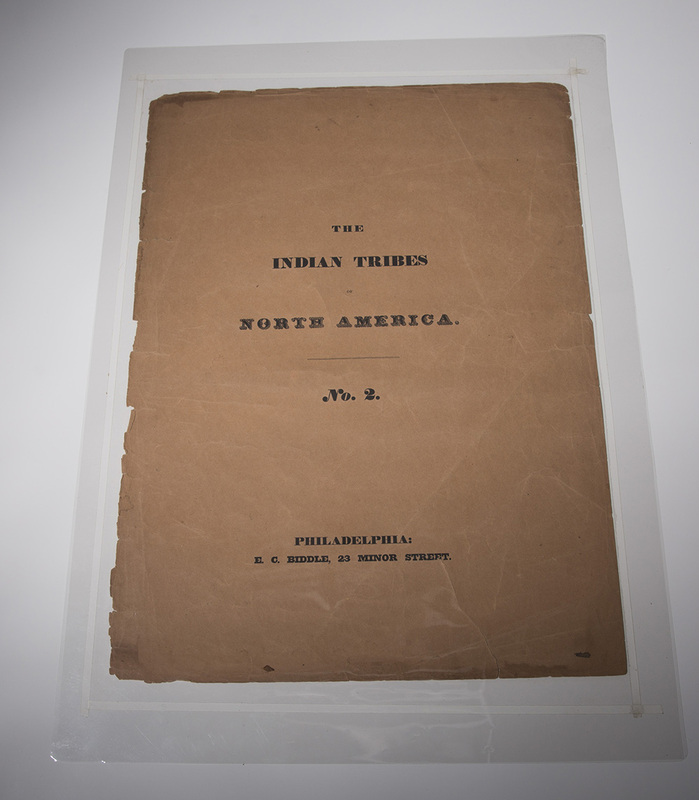 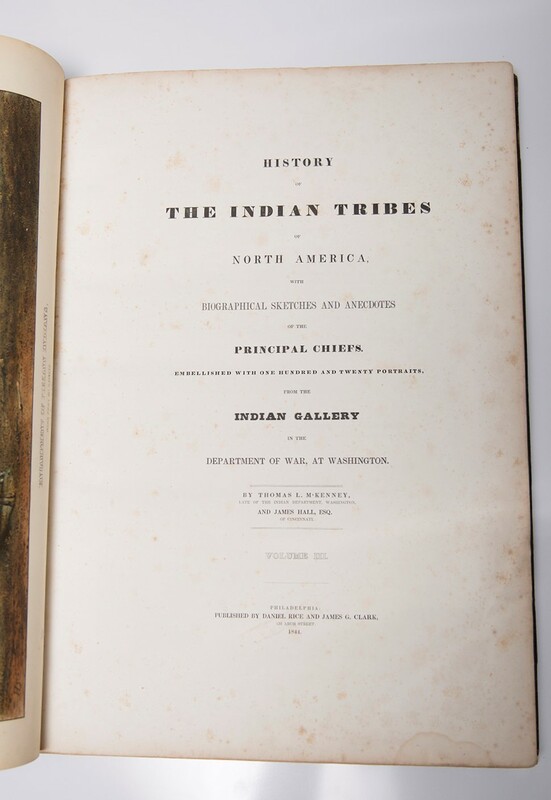 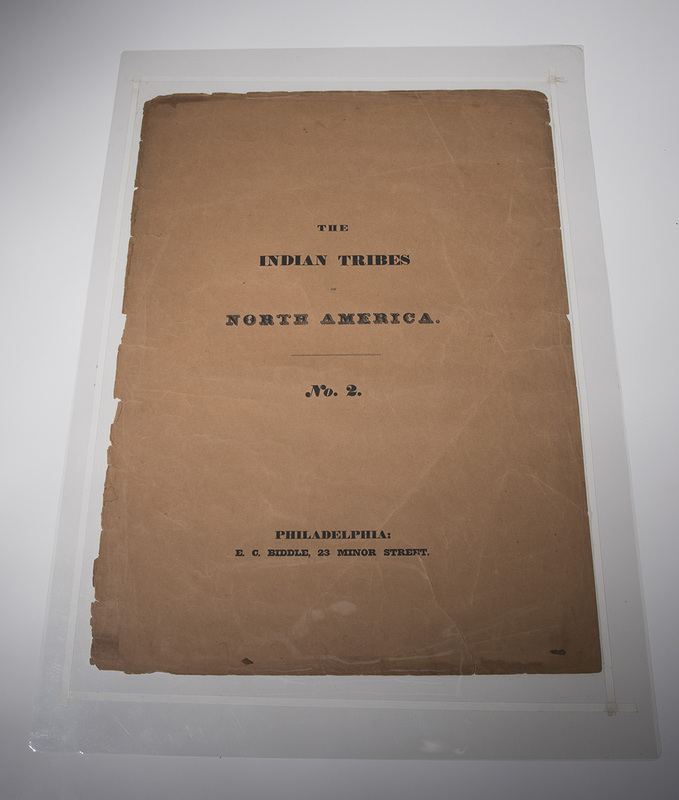 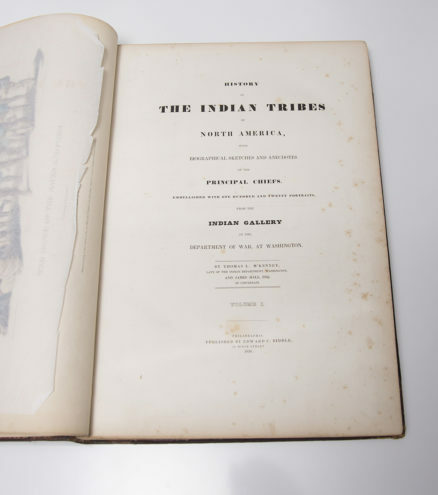 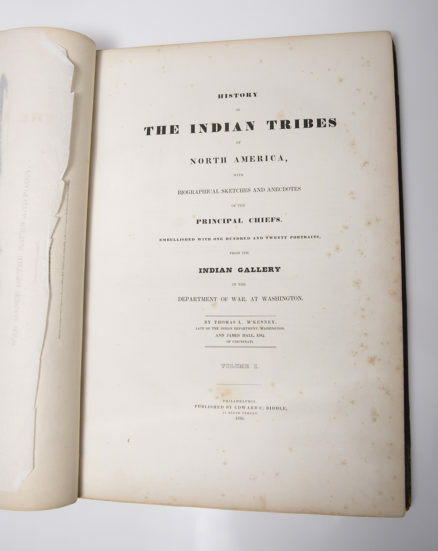 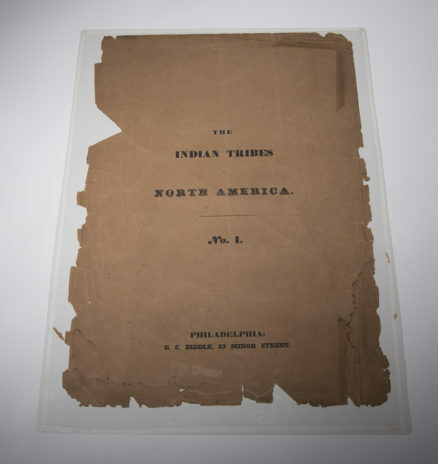 History of the Indian Tribes of North America, with Biographical Sketches and Anecdotes Of the Principle Chiefs. 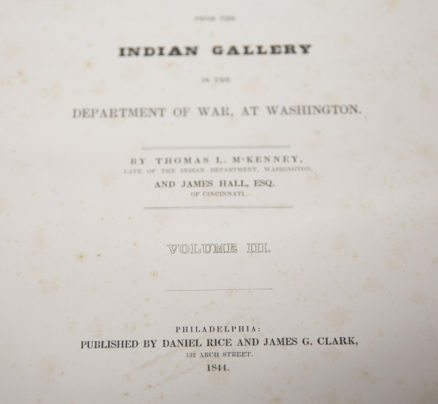 – Embellished with One Hundred and Twenty Portraits from the Indian Gallery in the Department of War, at Washington. 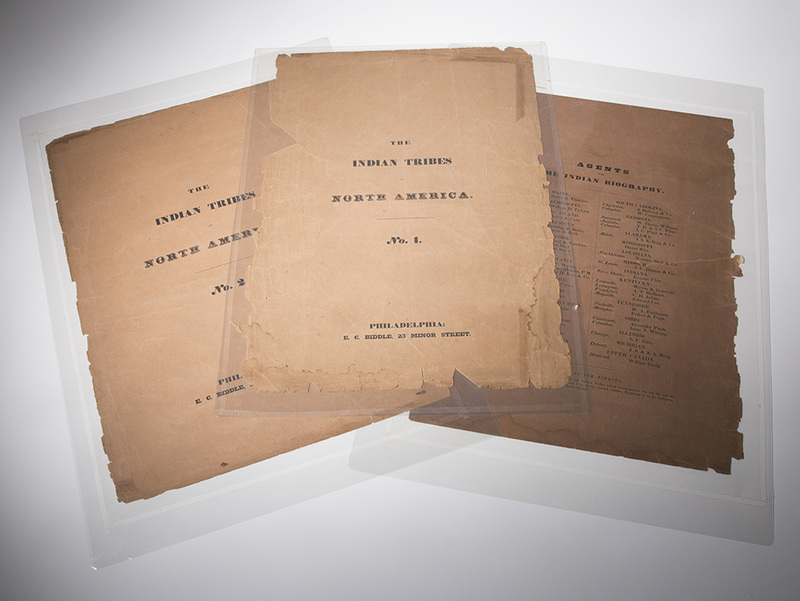 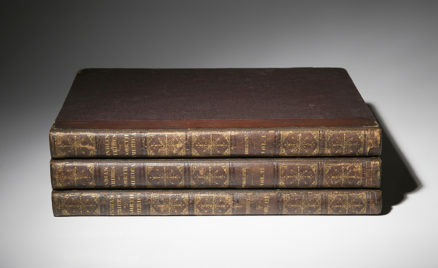 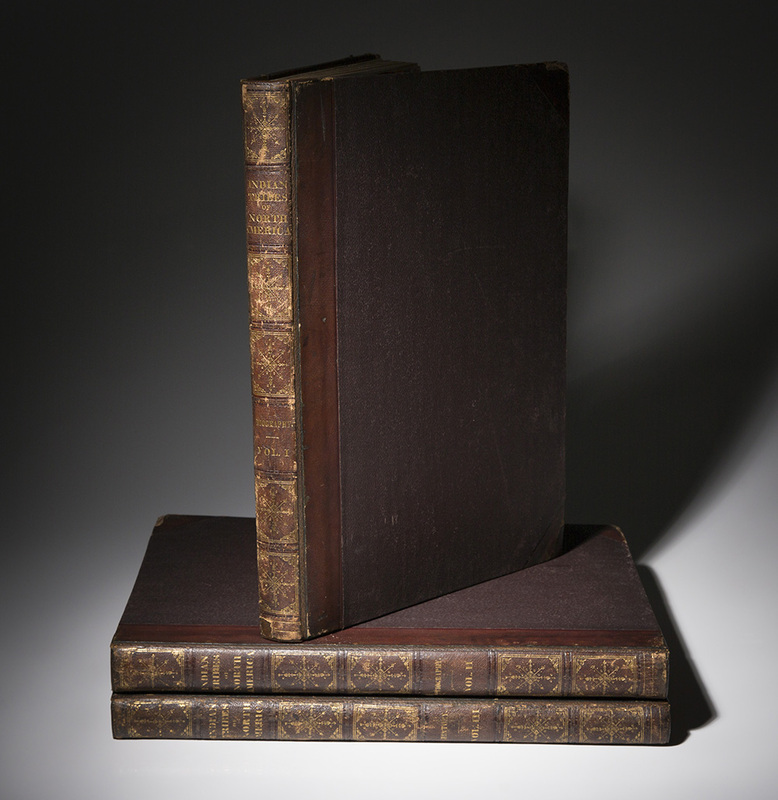 Large Folio (560 x 400mm), in three volumes. Original binding, leather overlay on the spine with raised bands, title in gilt on all volumes, restoration to spine and wear at corners. 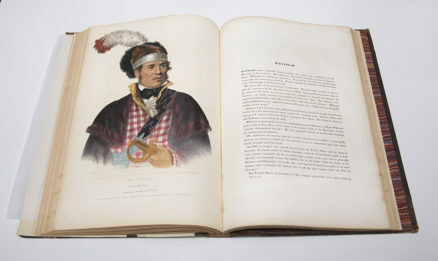 120 hand-colored lithographic plates, with 117 after the portraits of C. King and 3 frontispieces after Rindisbacher and Bodmer, leaf of statements noting the genuineness of the portrait of Pocahontas, 17pp of facsimile signatures of subscribers, uncolored lithographic sheet with two maps and chart of “Localities of all the Indian Tribes of North America in 1833,” “Present Localities of the Indian Tribes west of the Mississippi, ” and “Statement showing the number of each tribe of Indians.” Marbled endpapers, with repair to front free endpaper of Volume 1. 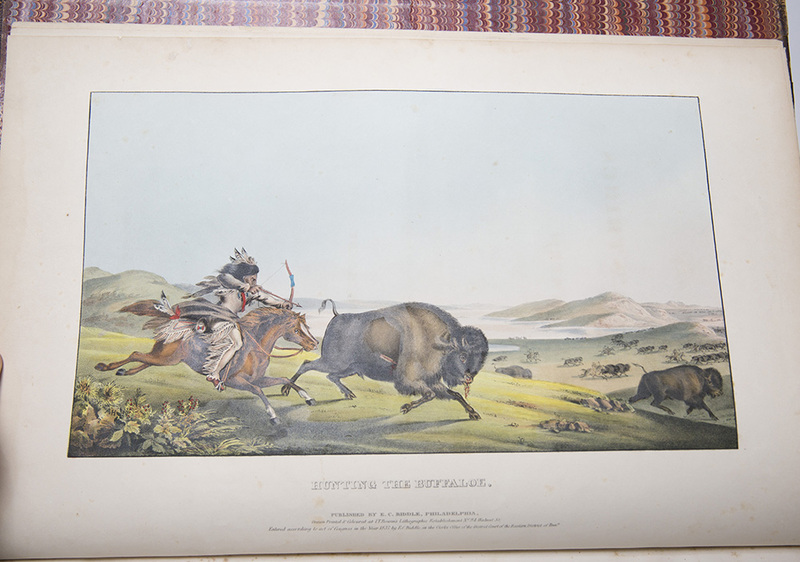 Some foxing throughout to text and individual plates, light transference on specific plates. 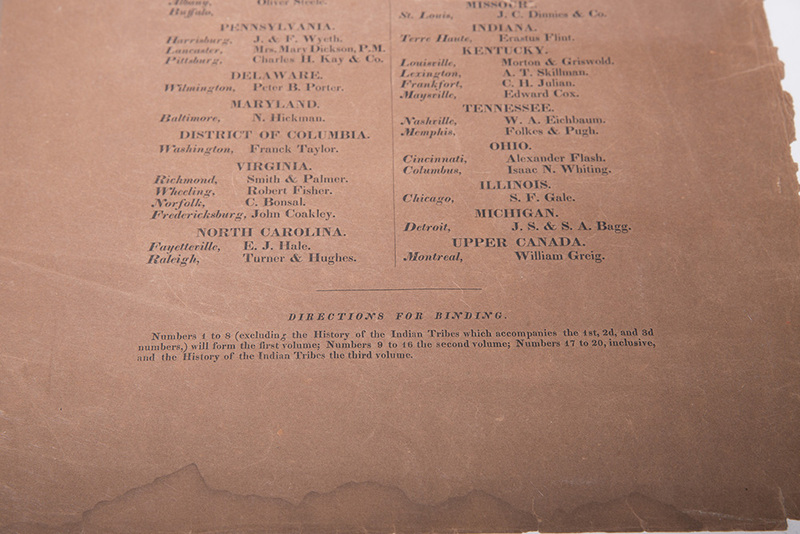 A detailed description of individual plates available. 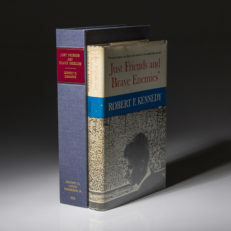 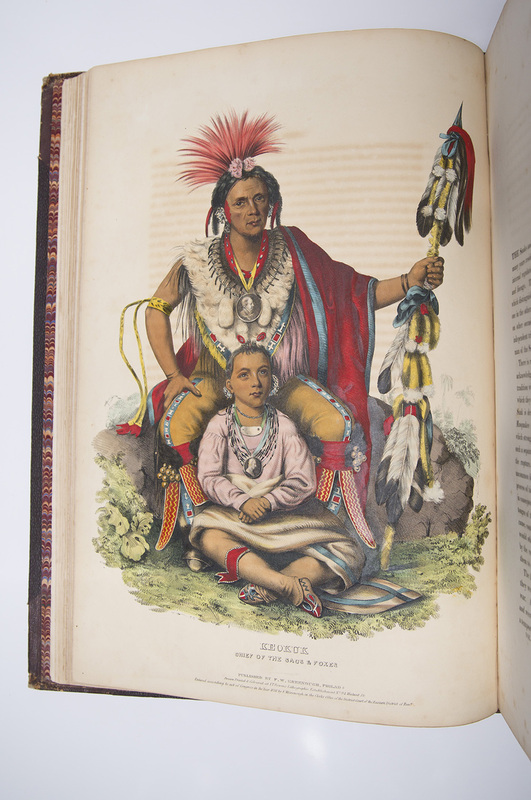 A brilliantly colored set of this important first edition. 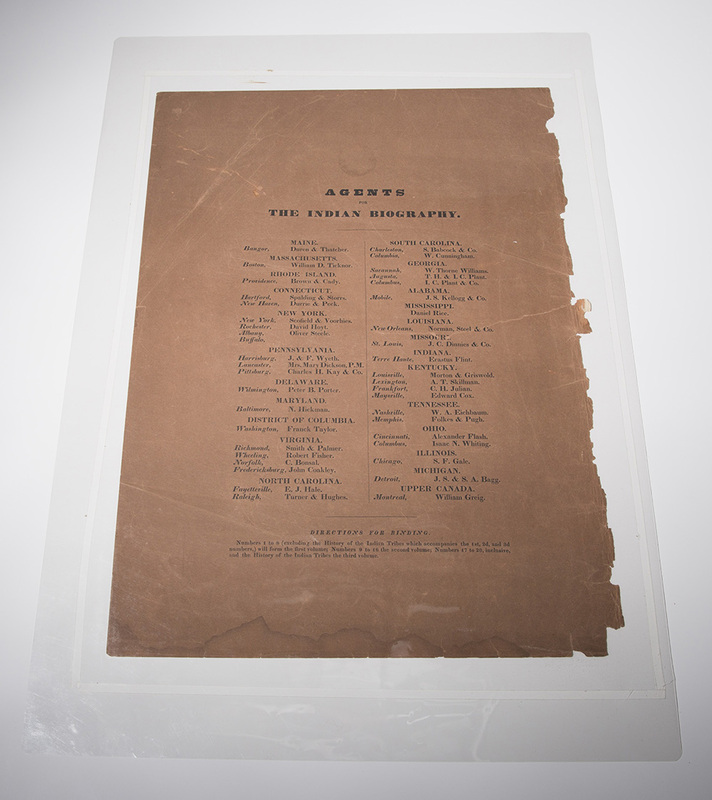 Comments: Original tan paper printed wrappers for all 20 parts included, with 1-19 numbered and #20 noting “Agents For The Indian Biography.” All individually sealed in protective mylar covers. According to BAL 6934, the parts offered here were from the following editions: Title Pages (Volume 1, State A – Volume 2, State B – Volume 3, State A), “The War Dance Plate” with ‘State A’ formatting, the “Red Jacket Plate” with ‘State C’ printing and the text of “War Dance” with second printing formatting (footnote at bottom of Pg. 3). 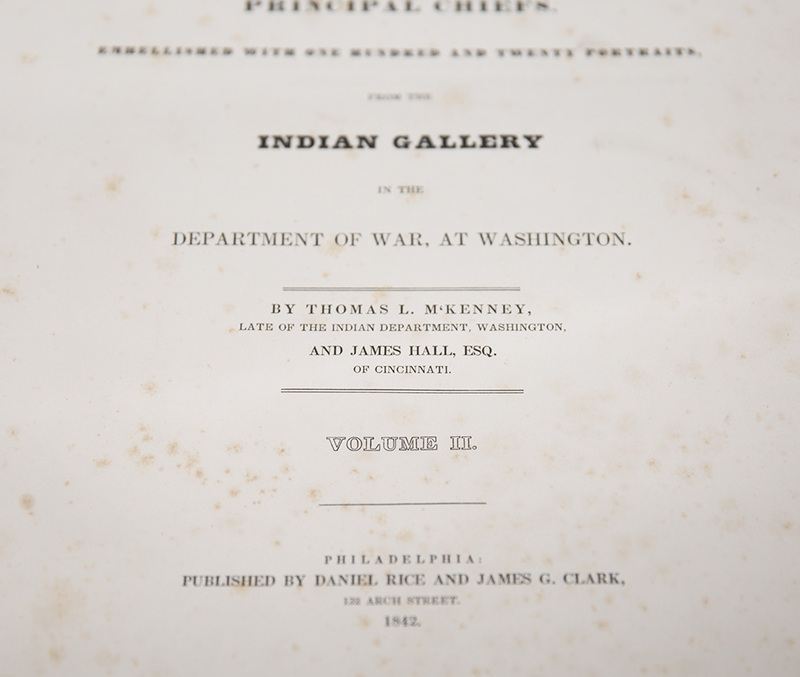 Considered to be the most important collection of Native American imagery ever compiled, History of the Indian Tribes of North America was the life work of Colonel Thomas McKenney. 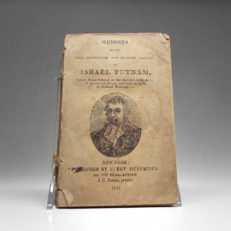 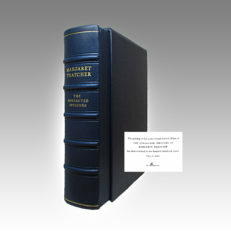 The book was published in 20 parts, beginning in 1836, and sent to subscribers, who are noted in Volume III of the book. 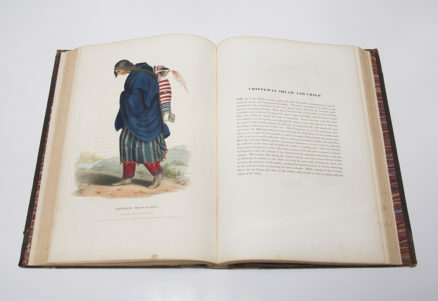 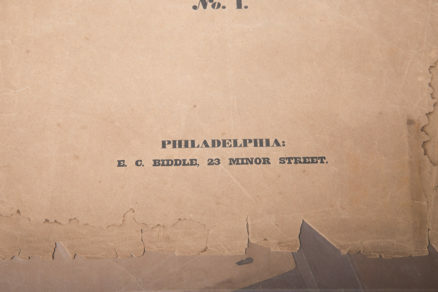 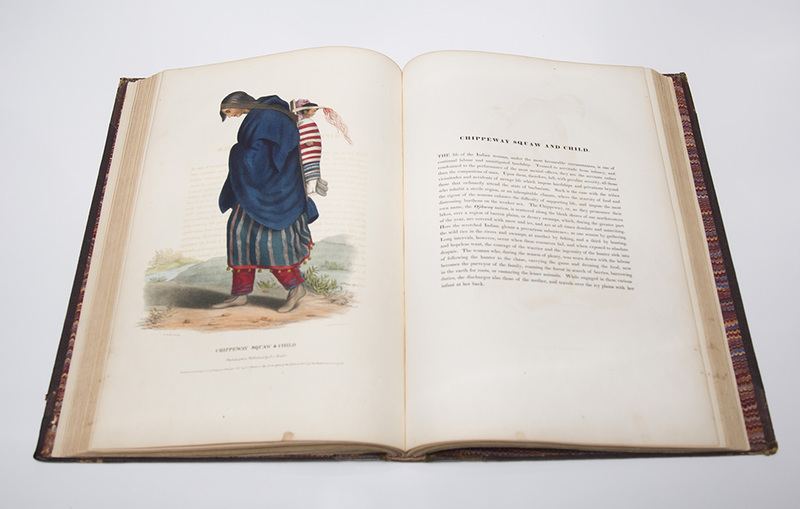 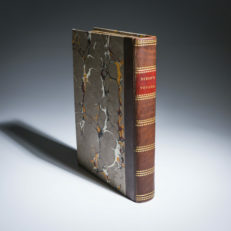 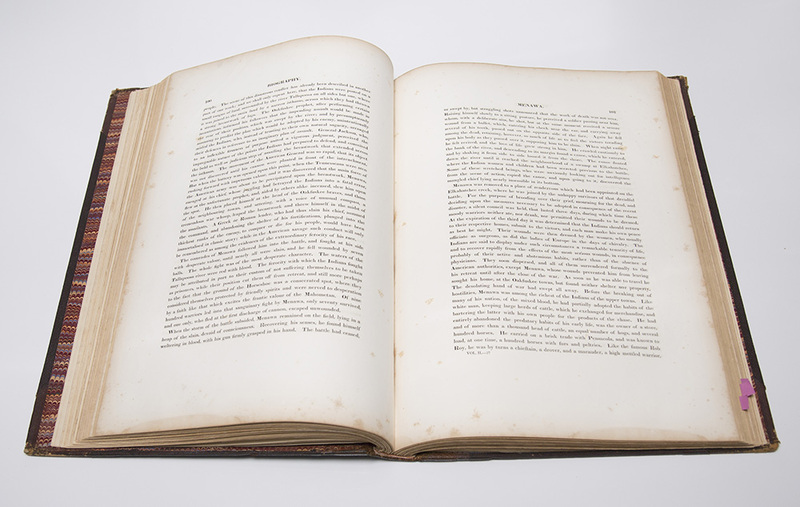 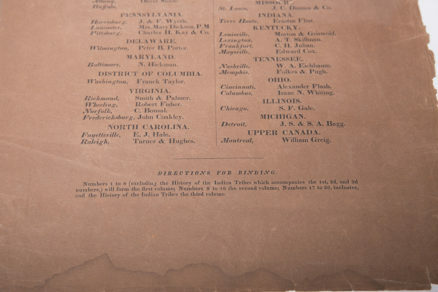 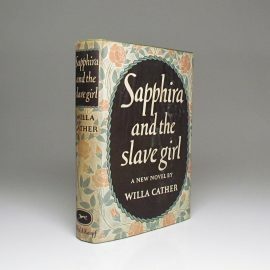 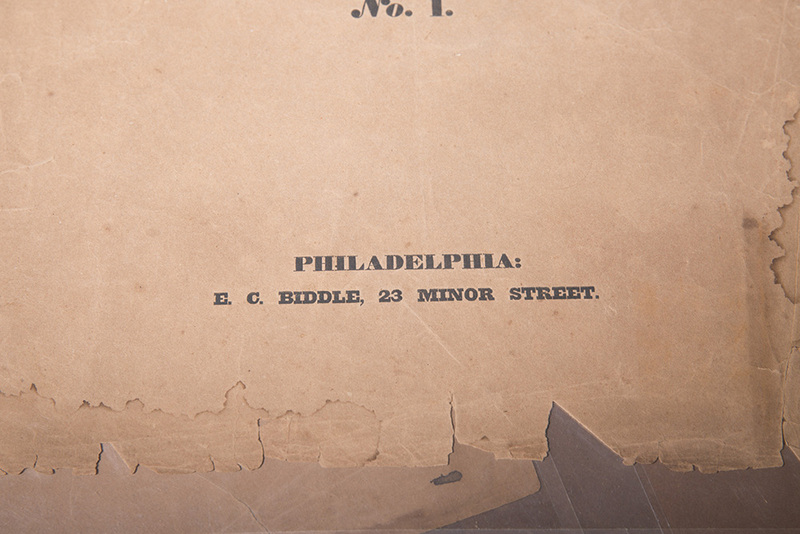 From there, subscribers were to have the book bound by local bookbinders, which accounts for some of the variations in pagination that is common with this work. 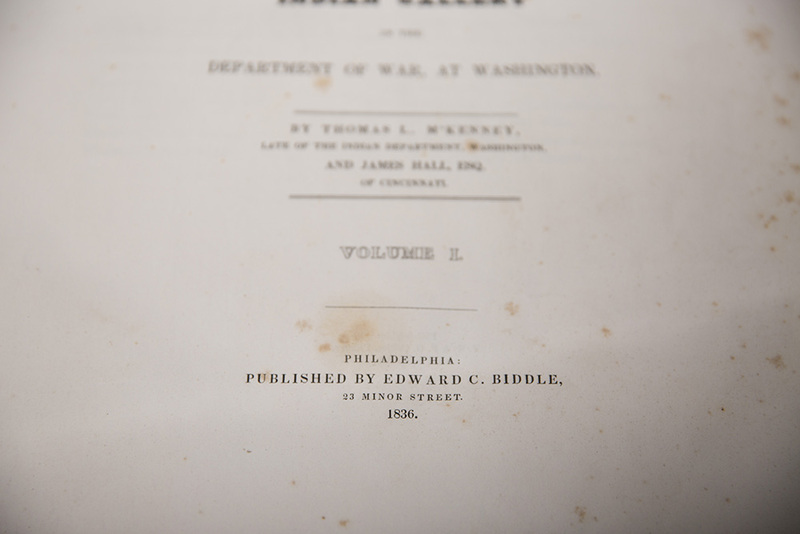 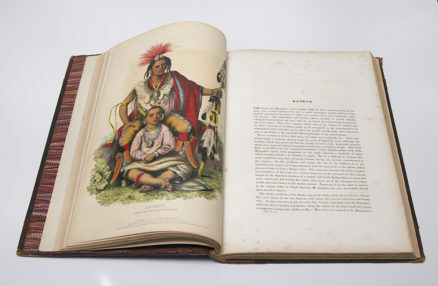 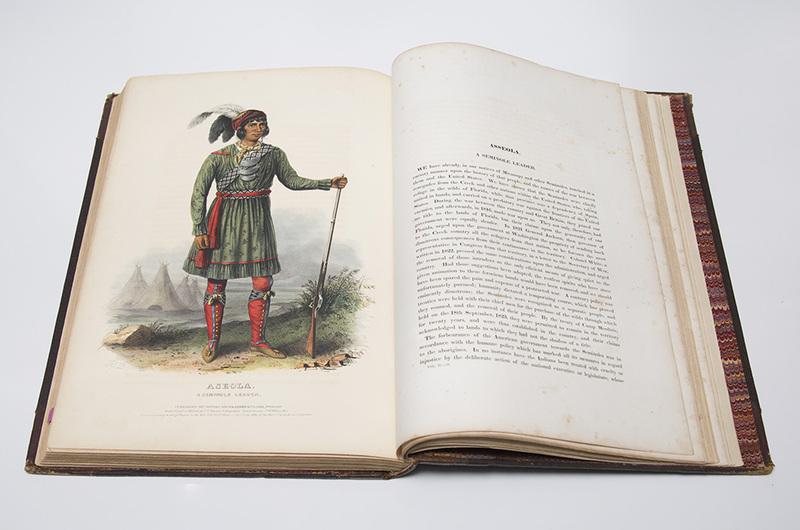 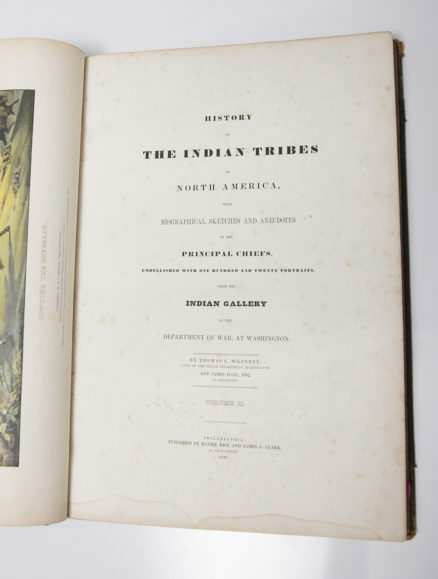 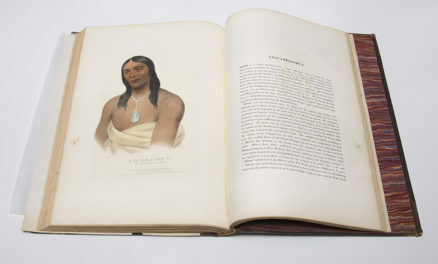 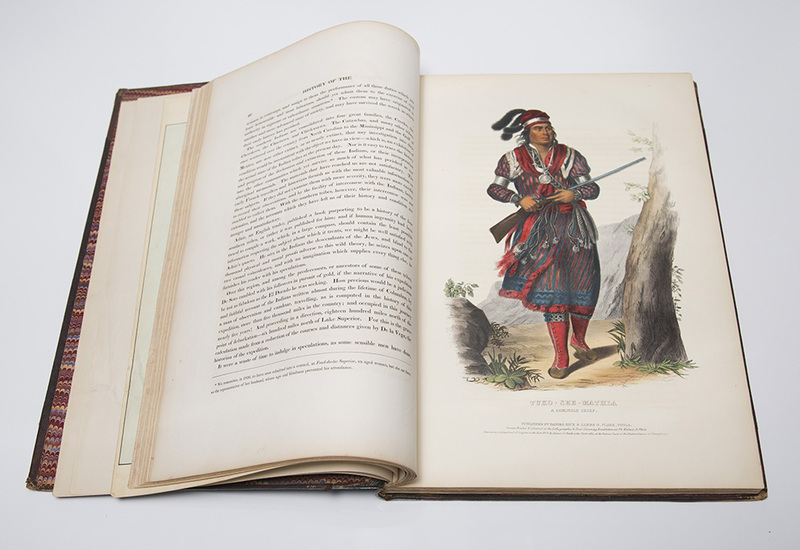 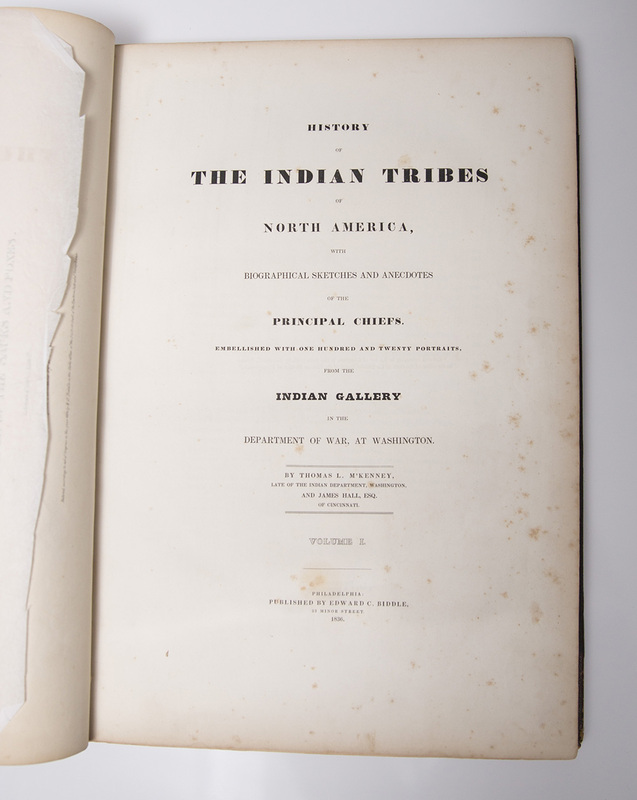 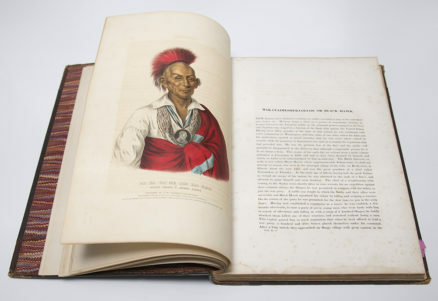 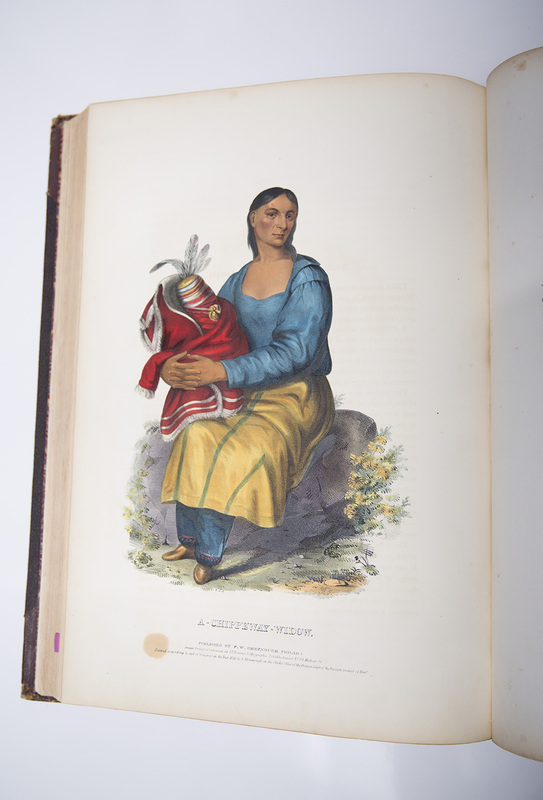 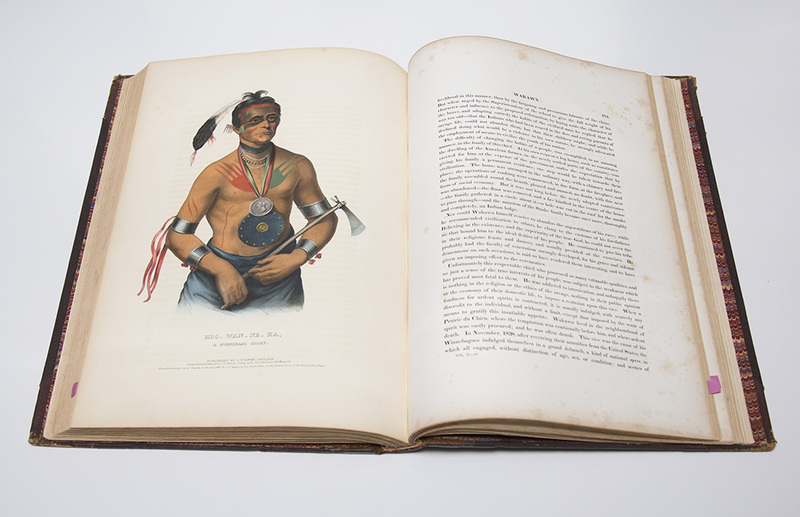 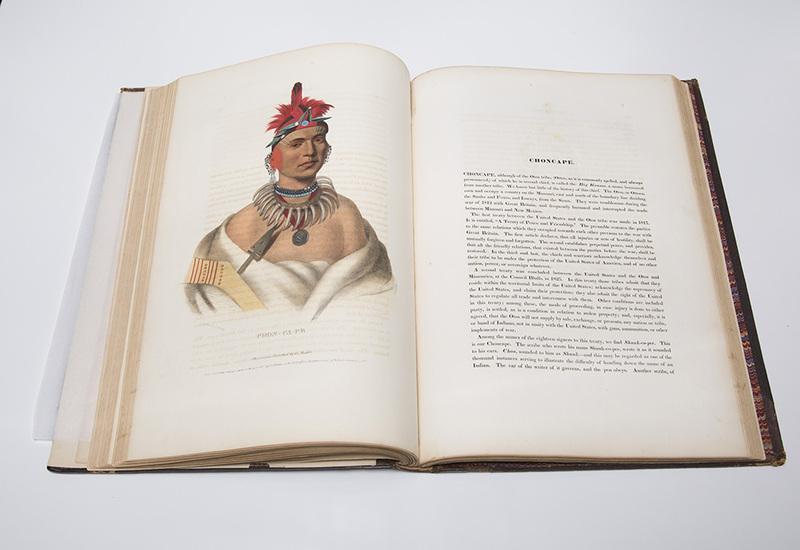 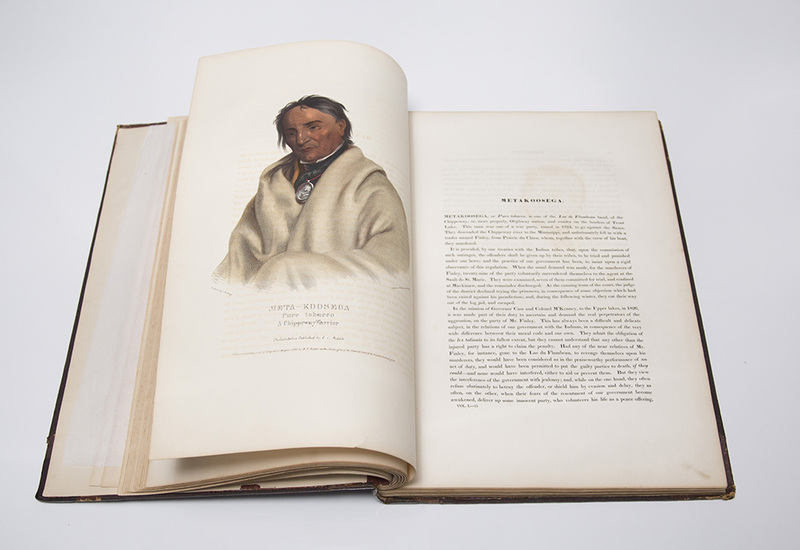 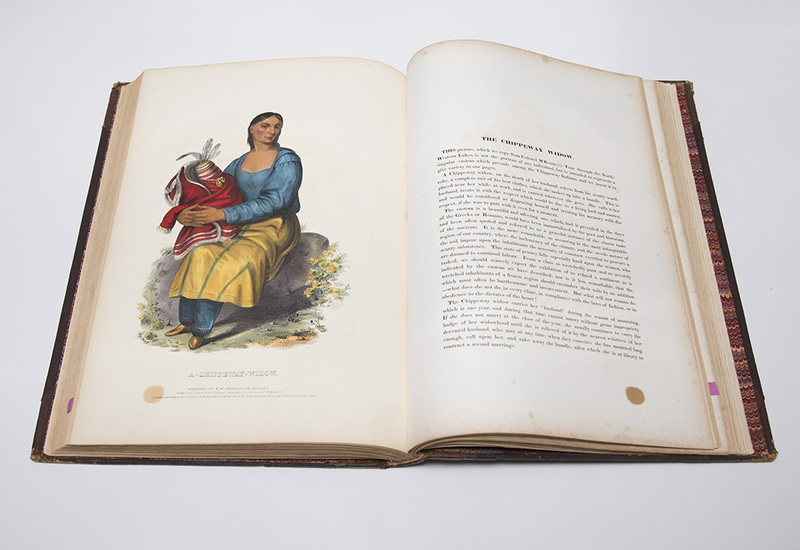 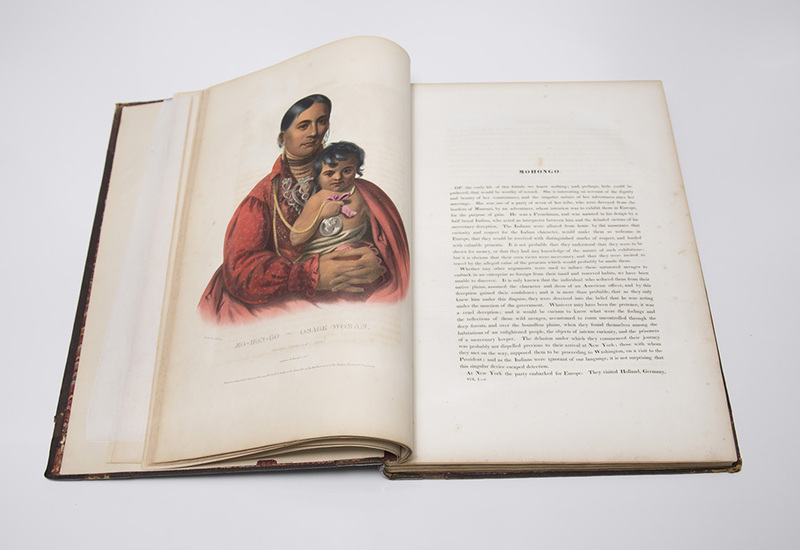 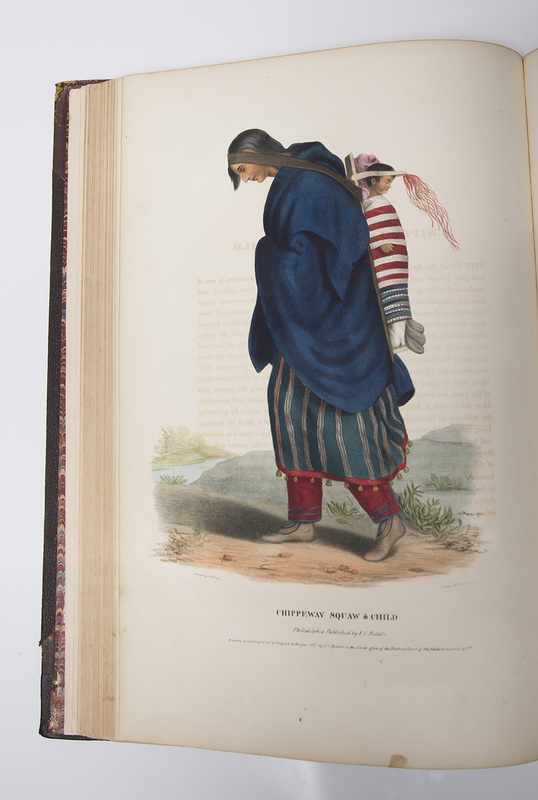 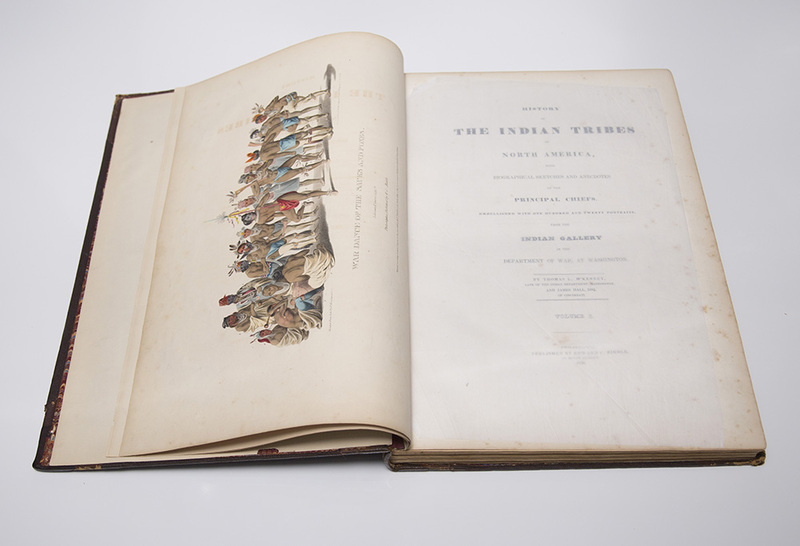 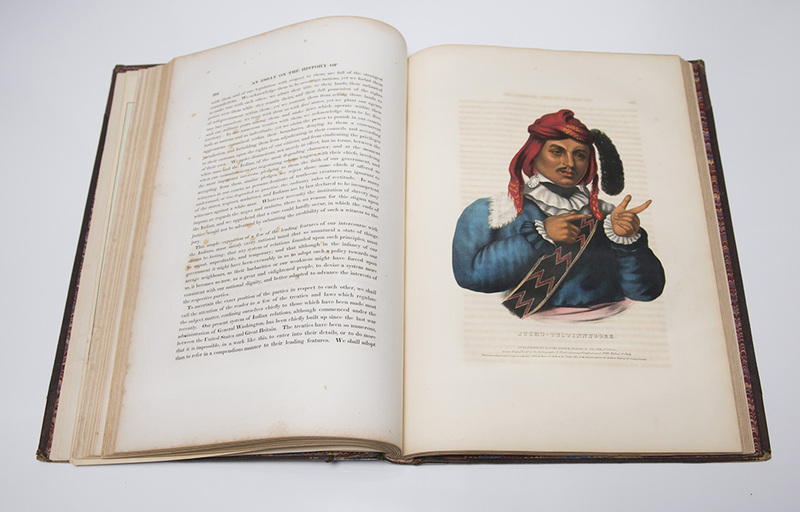 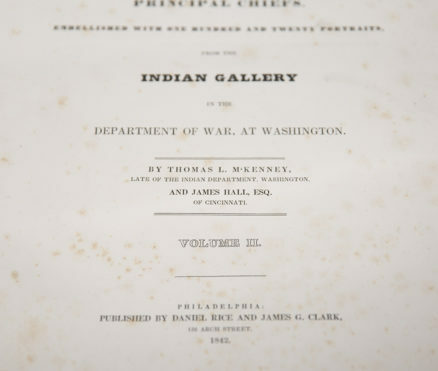 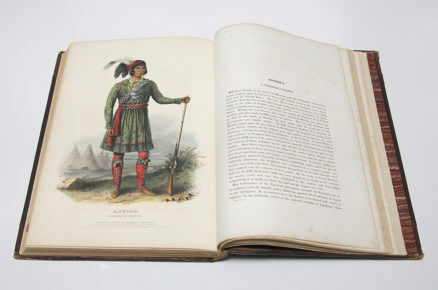 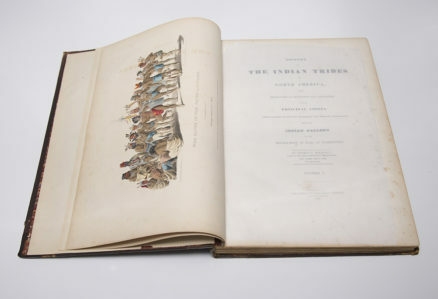 After the 1865 fire at the Smithsonian, this book became the only record of the likeness of many of the Indian Leaders who are depicted in this work. 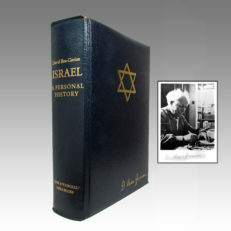 (Howes M129) (Sabin 43410a) (BAL 6934). 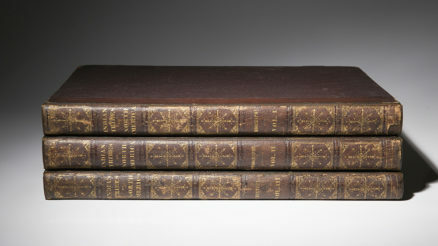 A Voyage Round The World – But More Particularly To The North-West Coast of America: Performed 1785, 1786, 1787, and 1788, in The King George and Queen Charlotte. 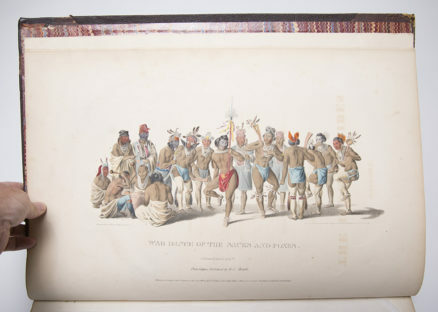 Captains Portlock and Dixon.